A group of self-proclaimed skeptics and paranormal investigators in Calgary, Alberta are beaming over the opportunity to share their greatest piece of photographic evidence with the local news, an image that purportedly features the ghost of a young girl. Their official slogan is “explaining what you thought you saw”, and like any good skeptic, they’re happy to describe how those strange noises haunting your home are just the sounds of your house settling or faulty plumbing. Their recent profile in The Calgary Sun even starts out by saying that “the cynic sets them apart”. If that wasn’t enough to prove how staunchly the team believes in truth, justice, and the scientific way, you can refer to Holly, the team’s resident debunker, who’s job is to shoot down every single piece of evidence they find, armed with the sharp blade of Occam’s Razor. But even skeptical team lead Holly Goddard, founder of the Calgary non-profit group Wolf Paranormal Investigations, believes that once in awhile, you can stumble onto something truly unexplainable. Indeed, there are many who might call the group crazy for investigating claims of the unknown, but with the help of Melissa Michelle Michele, WPI’s team reiki-practitioner, they are able to stay grounded through what they refer to as “scientific-intuitive knowledge”. One of the strange things that this team of science-loving, skeptical paranormalists can’t debunk is the following photo of what Goddard calls a “ghost girl” captured in her home residence. The image appeared this week in the Calgary Sun in the article titled: “Calgary’s own ghostbusters take skeptic’s view of paranormal investigation”. In the article, Goddard shares a more recent experience with an investigation into a haunted residence, followed by an explanation of how their skepticism sets them apart from other ghost hunting teams. Some hopeful investigators would immediately start seeing spirits in every lens flare and strange noise — but Goddard says what sets her team apart from “charltons” is not jumping to conclusions. Because conclusions, especially ghostly ones, are not for intelligent skeptics. Unless you’re a skeptic ghost hunter and you say so. Or something. What do you think of WPI’s phantom photograph? Did this highly skeptical group of skeptics capture evidence of a ghostly girl with their, uh, science? Or is it merely a camera smudge too narrow for Occam’s Razor to slice? Furthermore, how awesome is it to be able to literally give yourself any title you want and be quoted as such in the newspaper? 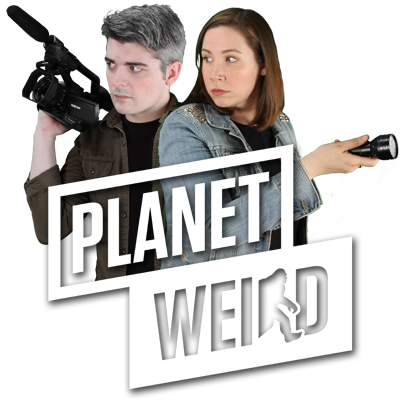 Share your thoughts with us on twitter @WeirdHQ (where we’re already diving into the meat and potatoes of a fantastic discussion on titles in the paranormal/skeptic fields), on our Official Facebook page, or in the comments below. First, thanks for noticing us! We really appreciate it. There are a few errors in your article that need to be corrected. Robyn is the team’s debunker, not Holly. At the time the image used in the article was captured, however, she was not part of the team. The image was captured in 2009; Robyn joined the team in the fall of 2012. We don’t have anyone named Melissa on our team. Our newest team member’s name is Michele, and while she is a Reiki practitioner, she does have other skills she is bringing to the table. However, as yet, she has not been out on an investigation with us; we only announced her membership over this past weekend. As mentioned, the image used in the Calgary Sun article was captured in 2009. For lack of a better description, because the capture could not be explained, and because it does appear to be female in nature, it was referred to as “ghost girl”. As most paranormal investigators know, this type of capture is extremely rare. There is still no explanation for it. Whether it is, in fact, paranormal, remains in doubt, despite its description as “ghost girl.” If a logical explanation ever does present itself, we will remove the photo from our website and make a public statement about it. UPDATE #2: Michele (with one “l”), the gang’s skeptical Reiki master swung by to offer her thoughts on the piece. Ok…what is a “charlton”? Is that some obscure reference to the Fresh Prince of Bel Air? I should mention that I directly copy and pasted that quote from the newspaper. I don’t know what a Charlton is either, but it sounds like a candybar with peanuts. They were aiming for “charlatan” and failing miserably. Either the reporter had no clue what she was saying or even the reporter is an idiot. Greg in Britain a [bobby] charlton’s a combover ie the use of side hair to hide a bald skull but I find myself wondering if that isn’t a more accurate description of the group itself rather than their ‘inferior’ rivals. You mean you can’t be a scientific reiki master?! BUT MY CERTIFICATIONS! Ooh Greg I’ve just thought of a brilliant way to redeploy your surname. “Y’better not IRK Greg or ‘e’ll NEWK y’u!” Hahahaha! An’ NO y’can’t say because I IRK y’u you’re go’n’o NEWK me! I’m skeptical of their skepticism. And on their site they have these things called “Unaccepted Phenomena Occurrences” but if you Google search said term the only hits are of their site. If this is the new norm I’m going to start making up my own terminology. And then write a book. Cause everyone does that. UPhO’s (unaccepted phenomena occurrences) was a play on words to garner interest for the page…looks like it worked. Did I miss something? Like a bunch of comments about how that is matrixing? If they are serious skeptics how is that not even mentioned? I must have missed something.. No!!! Stop using that work “matrixing”!!! It’s not a real word!! It looks like what I would expect to see if you took a photo of two girls in a darkened room and shone a light only on the one on the right. If there is any reason to look for a weirder explanation, you ought to tell us what it is, because the photo sure doesn’t reveal it. I’m not hating on you, Dyedye357, but isn’t ‘matrixing’ just a made-up Ghost Hunters term for a phenomenon that already exists: pareidolia? The ‘field’ of paranormal investigation is fraught with made-up nomenclature (and equally fabricated titles and scientific pedigrees), but I can’t completely fault them. Well, yes I can. But I can also understand that in a study like this, without much structure, it has to keep re-inventing itself since so few today have any connection to the century of work upon which all their assumptions have been predicated. Funny how ghost groups state “There are no experts in the paranormal” then they come out of the woodwork using terms they have no idea the actual definition for (there is a difference between matrixing, apophenia, pareidolia, and simulacrum) and make other things along the way all the while acting like they are experts themselves. I never understood why ghost hunting groups call themselves skeptics. A true skeptic would not hide under the guise of a paranormal group. 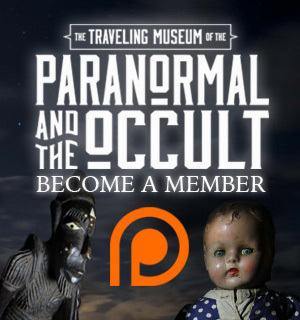 I have had the opportunity as a ghost investigator to join forces with a skeptical group to investigate claims and no silly effort to capture orbs or apparitions were made. Psychical Research and Parapsychology (over 130 years of study) will tell you ghosts are not tangible beings and cannot be photographed – the excpetion to the rule is generated by the living. I really enjoy how the culture of ghost investigation has adopted such silly beliefs through group polarization. There were some crazy things we did and believed in when I first started, but there was always some sort of balance present. In the current trend of brainwashed television followers there is no counter balance to the insanity of belief and no matter what terminology you spread all over it an overwhelming majority of groups believe the same things. Well said. I’d like to suggest a caveat with respect to your identification of the “insanity of belief”… there is also very clearly an insanity of disbelief. The “Skeptic” often is nothing of the sort, but is instead more of a naysayer with fingers shoved firmly into ears and eyes very tightly shut. The true skeptic can be a believer at the same time, just one who is very careful about what counts for evidence of the unexplained. From where does ‘matrixing’ originate? To be honest, As far as I can tell, no one had ever heard the term (in that context) prior to it being bandied about by TAPS on GH. I did a search online and almost everything I found references ghost hunting and the paranormal. Those that remaining few are simply paring down the word to matrix, the material in which something develops. As for pareidolia, it is simply a TYPE of apophenia–the type which sees familiar faces or such in random stimuli. Whether the “skeptic” is ignoring &/or misdirecting &/or lying about evidence with respect to the paranormal, UFOs, cryptids or whatever, it doesn’t matter. The pattern of behavior is the same: Denial for denial’s sake (and perhaps for the purposes of self-justification, too …). It’s hard to take this groups skepticism as a product of critical and analytical thinking, when they have a Reiki practitioner as one of their members. Not to be mean, but there is such a thing as bad publicity. I m pretty sure the image was created digitally. The image could have reversed and then obscured in many different ways. Painted blurred burned … These would be possible techniques Notice how the postures are identical ? Response to “T”: The image was not created digitally. It was two shots taken one right after the other and merged together to show the change in what appears to be the mouth of the anomaly. After merging them into one photo, the whole thing was turned into a negative, and then, a slight adjustment to the tone of the image was made in the hope of making the anomaly easier to see. Nothing further was done. The changes were made in Windows Photo Gallery, and in a program called Photo Studio 5, which has a tool that allows two or more photos to be “stitched” together – which was what was done with this image. In other words you’ve manipulated the image to make it look like something it isn’t. It clearly has a frame around it (or is in a framed box of a shelving unit). It looks like a painting or photograph.